Fong & Aquino in Los Angeles has recently received quite a number of phone calls from people who are waiting for issuance, re-issuance, or replacement of their US Legal Permanent Resident (LPR) cards. 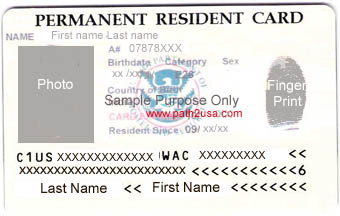 US Citizenship and Immigration Services (USCIS) has been experiencing delays of 2 – 3 months due to an upgrade being made in the card-production equipment. If you have not yet had your immigration or adjustment of status interview, please remember to bring your passport with you to the interview. If your application is approved at the interview, the officer should place “the I-551 stamp” in the passport. The I-551 stamp will temporarily allow you to travel in and out of the USA and work legally, until you receive your LPR card. If you do not have a passport, you can bring two passport-type photos with you, plus your driver license (or other government-issued I.D. ), and the officer can issue you temporary proof of your status.